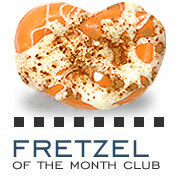 There are chocolate covered pretzels – and then there are Fretzels®. 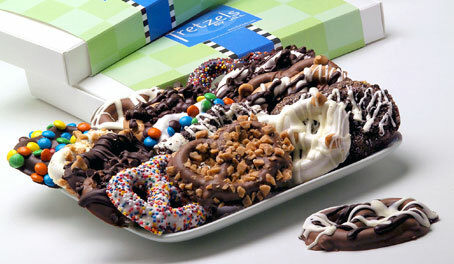 Fretzels® by Jill are designer gourmet chocolate covered pretzels like you've never seen or tasted. These chocolate covered pretzels are hand-dipped in milk, white, or dark chocolate and adorned with a variety of candy toppings. Each undeniably delicious Fretzel chocolate pretzel receives special attention to guarantee an exquisite, irresistible treat in every bite. It's the perfect gift for yourself or someone else...if you're willing to share! Ask about custom packaging and custom-colored chocolate for favors and corporate gifts.